Poking around the internet the other day, I found a quiz that said it could guess my level of education. Sure, internet, whatever. Wow. The internet must really think I’m smart! Of course, this isn’t any kind of a compliment, because the quiz asked me questions for which I learned the answers by eighth grade. It was, instead, an indictment of how grotesquely stupid most people are. Feh. Because how many people think Vermont is the largest U.S. state? What if it had asked about the smallest province in Canada? I would have failed. 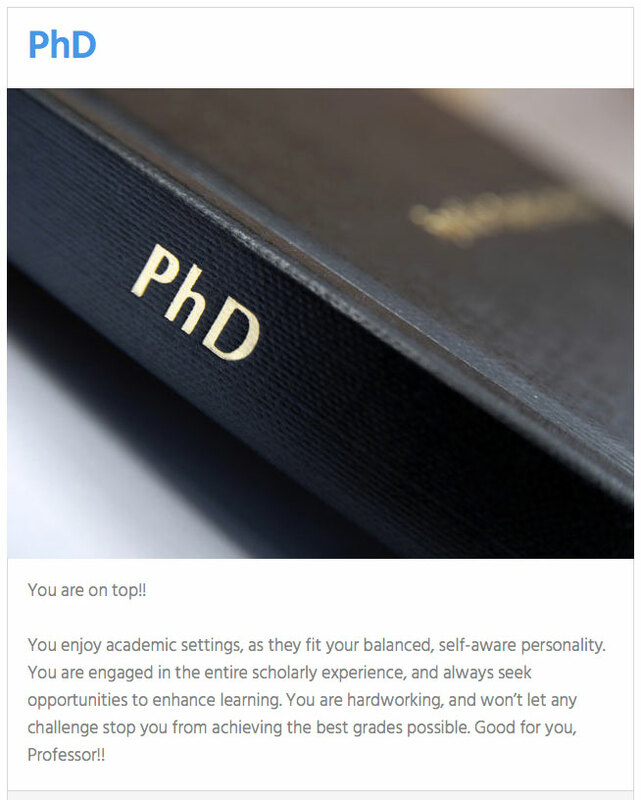 Instead, it said “PhD” for me too, despite my actual level of education being “some college” — only two classes outside of high school that would count toward any secular degree. I don’t take quizzes on the Internet.